The first look of Ajay Devgn starrer Total Dhamaal is out. While there’s Ajay bringing in his usual swag in the picture, the attention belongs to Crystal this time. 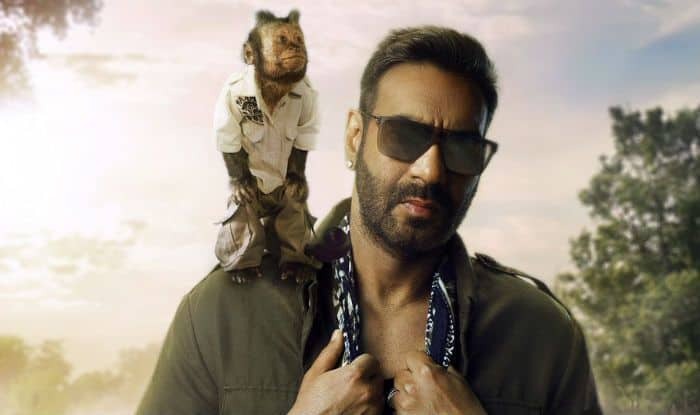 The little monkey in the first look of the Total Dhamaal is a Hollywood import and has featured in films like Hangover 2, George of the Jungle and Night at the Museum. While the role of the little star in the film isn’t yet revealed, he’s likely to play best friend and guide to Ajay’s character. Total Dhamaal is a multi starrer film with actors Anil Kapoor, Arshad Warsi, Riteish Deshmukh, and Jaaved Jaffrey in important roles. Female actors Madhuri Dixit and Esha Gupta are also a part of the film while Sanjay Mishra, Johny Lever, and Mahesh Manjrekar are in the supporting roles. Total Dhamaal is also bringing the lovable jodi of Madhuri and Anil back on screen after a hiatus of 18 years. The couple was last seen in 2000 Hindi film Pukar. Total Dhamaal is the sequel to 2011 hit film Double Dhamaal. Directed by Indra Kumar, it’s the third film in the Dhamaal franchise. Total Dhamaal was slated to hit the screens on December 7, 2018. Talking about the delay in its release date, Javed Jaffrey told E Times, “There are lots of special effects in it and it was consuming a lot of time. Makers also felt that if they release the film in December then it wouldn’t be nice for the film as there are some big releases in that month and they didn’t want to compromise on anything that is the reason why they shifted it to February next year”.